The Southampton Animal Shelter Foundation (SASF) held its Seventh Annual Unconditional Love Gala on Saturday July 16th in a Great Gatsby-esque mansion on Gin Lane. Journalist and animal advocate Jill Rappaport with Southampton Shelter Board President Jonathan McCann. Jean, Martin and Elizabeth Shafiroff. Ellen and Emcee Chuck Scarborough. Georgina Bloomberg in Antik Batik. The house which is situated right on the ocean with acres of land was perfect for the shelter animals to roam around in. The Southampton Animal Shelter is listed in the top ten percent of no-kill shelters in the country and is used as a model for dozens of others shelters. Its goal is to place homeless pets in the community into permanent caring homes. The night’s festivities began with ‪a 6:30 PM‬ cocktail hour and honored El Faro De Los Animales. 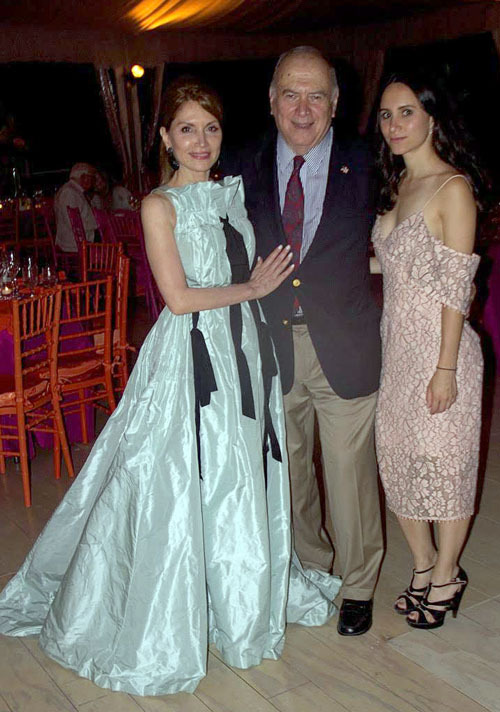 Event chairwoman Jean Shafiroff greeted guests in a sweeping Oscar de la Renta pale green gown strewn with ribbons. This is Shafiroff’s fifth year as chairwoman and she and her daughter, Elizabeth, continue to travel the world in pursuit of saving animals. Georgina Bloomberg, another avid animal rights activist, wore a floral Antik Batik gown, and said she loved traveling with the amazing SASF organization to Puerto Rico in February. Georgina just came back from a riding competition in Europe and was looking forward to the August Hampton Classic. The night’s crowd was an illustrious group of well-heeled Hamptonites who prefer to remain under the radar including billionaire businessmen: John Catsimatidis, CEO of Douglas Elliman Howard Lorber, Ziel Feldman, Owner of the Rockets Leslie Alexander, and the founders of The Allen Company. The emcee Chuck Scarborough was dashing as usual as he and his statuesque wife Ellen graciously posed for pictures. Scarborough is the go to guy for animal events and his impeccable elegance is what the Hamptons is all about. When it was time for dinner, the 300 guests streamed into the lavish tent for a vegetarian dinner of fish with a delightful bean concoction and some delectable apple crisp. A live auction was then held where prizes included a three night stay at the Peter Island Resort and Spa in the British Virgin Islands and two nights at the Grand Hotel Minerva in Florence, Italy. Jonathan McCann, the Southampton Shelter Board President, told me that 7 years ago they were going to close down the municipal shelter with no arrangements for the 250 homeless animals. After reaching out to residents on radio and television, he found someone to donate money to privatize the shelter and the rest is history. Journalist Jill Rappaport then joined him in urging attendees to donate to this pivotal cause and the night’s festivities raised more than $600,000-an exorbitant sum for an animal charity. 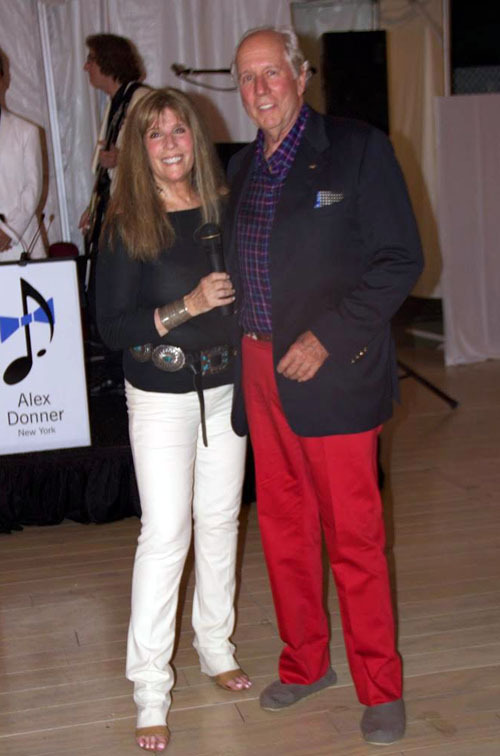 The evening concluded with some dancing under the stars and the melodious music of the Alex Donner orchestra-a fabulous conclusion to another event filled Hamptons weekend.